The basic design of the Harley-Davidson flat twin engine first saw service in the Model W motorcycles, produced from 1919 to 1923: the engine design was continued in 1924 with the single-cylinder export-model 21-cubic-inch (340 cc) and 30.5-cubic-inch (500 cc) singles. Harley Davidson introduced their D models with a 45 cubic inch (750cc) V-twin side valve engine in 1928, the engine that later came to be more commonly known as the “Flathead”. In 1930, the 74-cubic-inch (1,210 cc) VL flathead replaced the JD Big Twin, which had featured intake-over-exhaust (IoE) valve configuration. The VL had a single downtube frame and total loss oiling, culminating in an 80-cubic-inch (1,300 cc) version (VLH) in 1935. In the domestic U.S. market, the 45-cubic-inch (740 cc) DL model (1929 to 1931) and its technical descendant, the RL models (1932 to 1936), started Harley’s side-valve tradition in the 45-cubic-inch displacement class. In 1937 the Flatheads got the same recirculating oiling system that had been introduced on the Knuckleheads in 1936: before that they had used a rather crude gravity feed one-way total loss lubrication system – any oil that wasn’t burnt in the cylinders eventually ended up on the pavement. The new model was designated the U, and it went into the same frame and running gear configuration as the model E Knucklehead. The U continued to be produced in varying configurations as a 74 cubic inch U & UL (1937 to 1948), and 80 cubic inch UH & ULH engine (1937 to 1941). 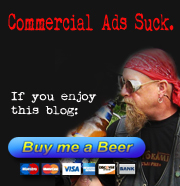 By that time, the first year of the aluminum-head Panhead, it had been thoroughly superseded and outsold in the marketplace by the superior performance of the overhead valve model Big Twins. Due to the side valve design, the cylinder heads are pretty wide and flat, while the valve push rods are relatively short. To mitigate the inefficiency of the gas flow in and out of the cylinder the intake and exhaust valves have to sit side by side in a horizontal plane right next to the top of the cylinder; the valve stems and push rods on each cylinder run parallel to each other, and the bottoms of the push rods end up about two inches apart. Because of this all four cams are on their own individual camshafts, which are then connected to the main shaft through a series of gears. Although neither sophisticated nor efficient, the Flathead engine design proved to be so reliable that Harley was able to sell it for forty four years; from 1929 until 1973, when it was dropped from the last stock Servi-Car production models. Some design features of the 1929 Flathead engine survive even today. 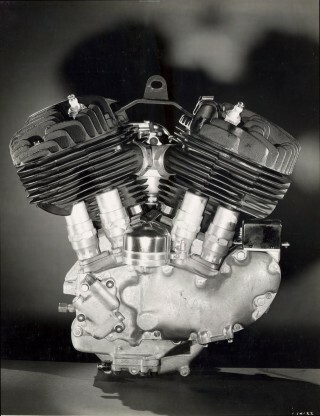 One notable variation of the Flathead engine design was introduced on the 1952 Harley model K “Sports” bike, which was marketed in response to the invasion of lighter and faster import bikes; in particular the British BSA’s, Triumphs and Nortons. The American Motorcycle Association allowed the 750 cc sidevalves to compete against 500 cc overhead-valve bikes; racing versions of the 750 cc K model (designated KR) continued to be produced in very limited numbers for some time, winning both roadraces and dirt track events against overhead valve bikes limited to 500 cc. In 1969 the AMA decided to change the rules and make the venerable flatheads uncompetitive. The 1952 K model had a compact integrated engine and transmission design, with the old 45 cubic inch displacement and aluminum cylinder heads for improved cooling. In 1954 the model K’s engine was beefed up to 54 cubic inches (883cc) and the bike was named the model KH; the following year Harley introduced the high performance model KHK which featured a roller-bearing bottom end, hot cams and polished ports. In 1957, the model KHK “Sports” motorcycle with its 54 cubic inches side-valve Flathead engine was replaced by the model XL “Sportster” which boasted the more powerful over head valve Ironhead engine with the same 54 cubic inch displacement. Except for the engine top end design, the XL “Sportster” model and the KHK “Sports” model otherwise looked virtually the same. Notably, the Sportster’s “Ironhead” engine still had the OHV technology of the 1950’s Panhead engine, while retaining the lower end design concept of the Flathead model KHK -including the position of the generator and the four cams on their own individual shafts. That bottom end design has survived into modern times in the Evolution Sportster engine.